Hearts assembled by our members from finished white doves. We hosted our Doves Workshop on Friday October 25th at SS1083. 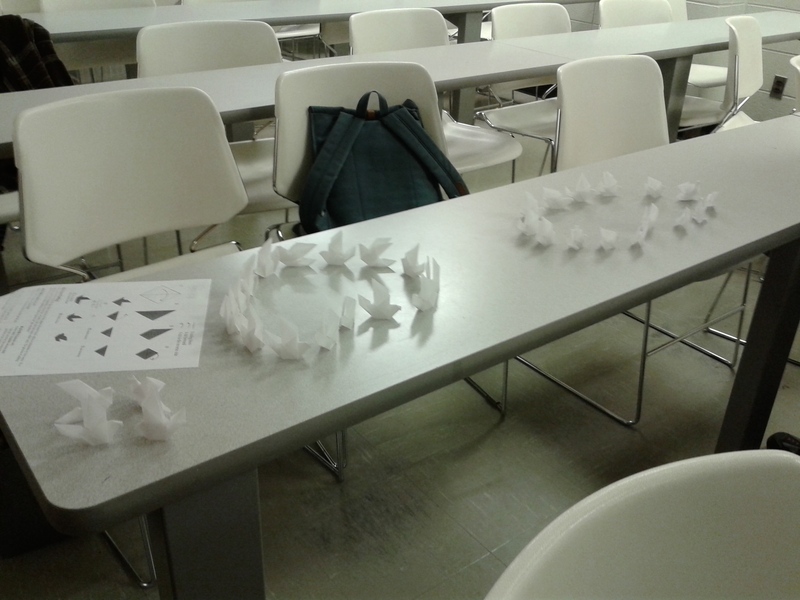 During this workshop, our members and execs were able to fold hundreds of white doves in wax paper, all to be donated to Toronto Western Hospital to be put on their patients’ holiday and get well cards. F.O.L.D. members and execs had a lot of fun assembling the finished doves into interesting patterns for amusements, some of the examples are shown below. 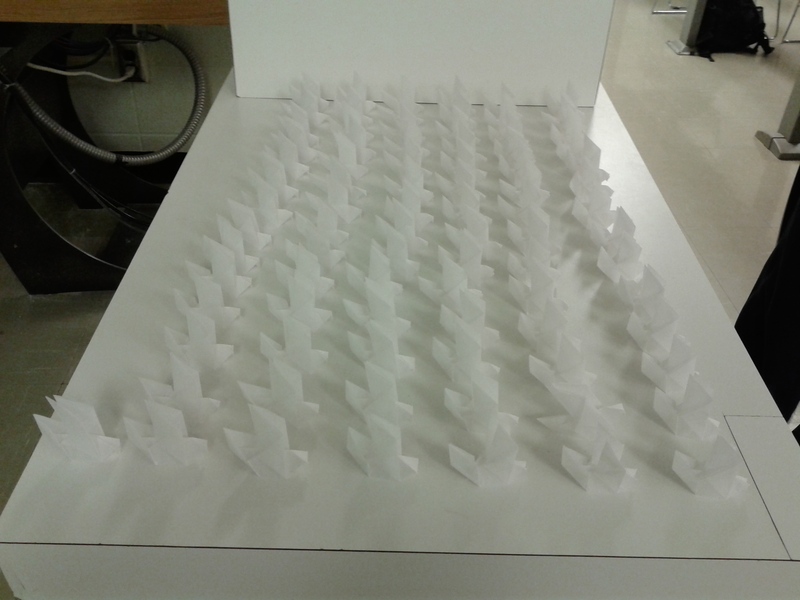 The Dove Army assembled from some doves folded by members. 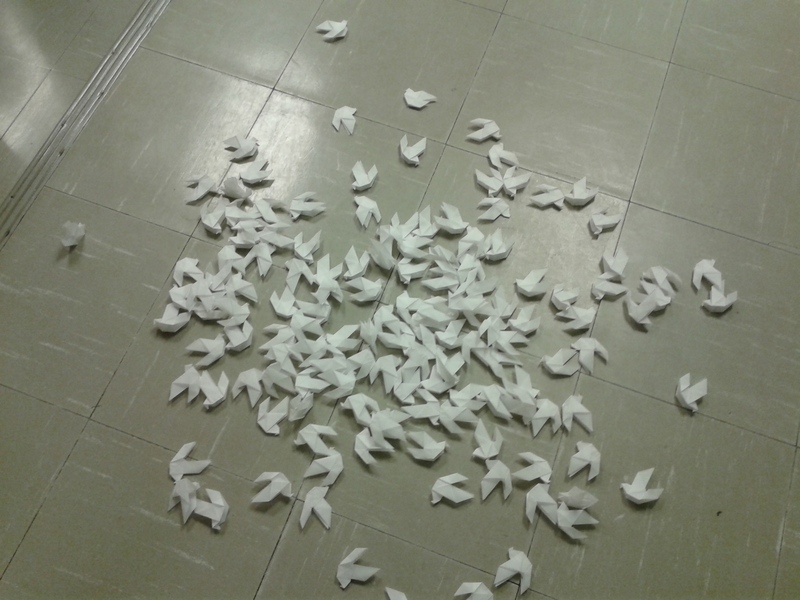 Pieces of folded doves scattered on the ground. 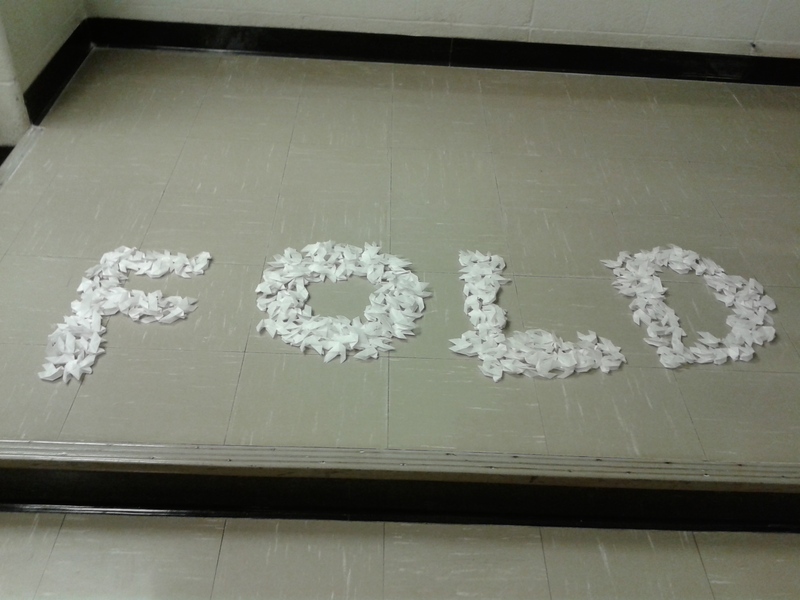 All the white doves assembled into the position to create the name of FOLD. Thank you to all those who came out to support the cause, event, fun of origami, or all. This will conclude all major activities that F.O.L.D. has in store for you this month. Await for our next monthly listerv in the beginning of November or check our calendar under Events -> Current Events for a list of activities that we have planned for you all in November. Until then, we wish you all the best of luck in everything and see you all soon!! Previous Post F.O.L.D. Featured on Varsity! !